Caroline Maga, Wendy Glauser and Christl Dabu for OurKids.net, Canada’s trusted source for camps and schools. Children may spend an entire year waiting until they can return to their favourite summer camp. Their parents, however, may spend the year saving up to make that return possible. While a two-week stay at overnight camp averages $1,000 or more, a week of day camp averages a little over $200. Typically, the longer the stay, the lower the weekly cost, but coming up with the money can be a challenge. Luckily, there are more resources these days to help parents pay for summer camp and make summer camp a reality for all kids, no matter their financial situation. • Consider varying base fees and extras. In general, traditional overnight camps can cost $300 to $1,000 per week, and day camps will run about $35 to $500 for the same period. This covers access to the camp’s facilities, meals, accommodation, medical services and supervision from a trained staff member. Depending on the camp, extras like transportation and laundry may also be included in the base fee. Optional programs, such as mountain biking or portaging, will raise a family’s camp fees anywhere from $30 to more than $200. Many camps also have tuck shops, where campers can purchase snacks and camp merchandise. Other costs may come in the form of supplies, equipment and clothes. If fees are an issue, families should look at what each camp offers and decide on a list of needs and wants. • Start your search online. A good source of financial advice is this website, which features articles, advice, comprehensive camp listings and a search engine to help families find and contact camps from across the country. Also browse the websites of the Canadian Camping Association and your provincial camp association. Check out campcoupons.com for summer camp deals. • Visit a camp expo. Our Kids hosts an annual Camp Expo in Toronto. The expo features March break, year-round and summer camps from across Ontario and Quebec. 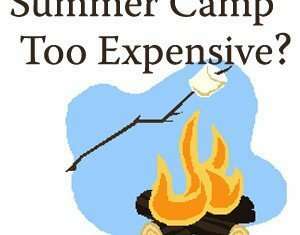 Camps at the expo have many years’ experience advising parents how to afford summer camp. • Fundraise with your kids. Ask family, relatives and friends to contribute to your child’s camp fees instead of giving birthday or Christmas gifts. Do chores, yard sales or something creative and fun to raise funds. Check out whether a school or company would offer matching funds. • Volunteer at camp. Some parents take time to work as counsellors, cooks or nurses, for example, to help offset or fund their child’s camp experience. • Contact camps directly to find out fees and whether they offer subsidies or camperships. A campership is financial aid given to needy campers. Some organizations request a small family contribution to prevent cancellations and to enable families to contribute to their child’s experience. • Work with camps on payment options. Many camps offer opportunities to make different financial arrangements. You can pay deposits first and pay the balance later, or take advantage of making multiple payments. Some even allow you to pay installments over a long period of time. • Start your search early to save on fees. Often, the sooner parents register their children for camp, the more they save, says Kristen Gage, director of Glenbrook Day Camp in Stouffville, Ont., which offers early-bird rates and camperships. Families should start looking for financial aid options in the fall, says Catherine Ross, communications officer and executive member of the Canadian Camping Association. Some charities will have already selected their eligible applicants by February, she points out. Many camps have only an allotted amount of financial aid but can still accept applications year-round as spaces do become available upon cancellations. Some camps award funding on a first-come, first-served basis. • Find out about other discounts. Some camps offer deals, or even send a child for free, for registering siblings or referring other campers. Many camps give children of alumni discounts, subsidies or funding prioritization. • Ask churches, charities and other organizations. Another valuable resource is a charitable organization whose mandate is to help send kids to camp. The Lions, Optimists, Kiwanis and Rotary clubs support initiatives that improve children’s lives. Since there isn’t one centralized network for all of the resources, it’s also a matter of contacting schools, social workers and community agencies, says Jennifer Wilson, interim executive director of Amici Camping Charity, which has been funding children from low-income families to attend summer camp since 1966. • Child-care deduction: Parents can claim camp expenses as a child-care expense, or they can use their receipt to get federal (and sometimes provincial) fitness and arts credits, says Cleo Hamel, senior tax analyst at H&R Block in Calgary. A child-care expense can be claimed if the child is 10 years or younger and if the camp isn’t a specialized one like a sports camp, Hamel explains. A child-care deduction provides a 15 per cent federal tax refund on the expense. • Federal fitness and arts tax credits: These credits allow parents to claim 15 per cent on up to $500 of their expenses a year for children who are under 16, or an additional $500 for those under 18 who have a disability if the program costs at least $100. If the program includes both sports and arts, the camp can help families figure out which credit they should apply for. • Provincial government tax credits: Many provincial governments, including Saskatchewan, Ontario, Manitoba and Nova Scotia, offer tax breaks similar to the federal fitness and arts credits, Hamel says. Go to your provincial government’s website to find out eligibility requirements. The Ontario Children’s Activity Tax Credit, for instance, allows families to claim 10 per cent on up to $500 of expenses for fitness and non-fitness activities a year for each child under 16, and double the amount for spending at least $100 for a child with a disability who is under 18. • Other funding from your municipal and provincial governments: Research what type of assistance your city offers. For instance, the Welcome Policy is a fee subsidy program offering free city-operated recreation programs for the Greater Toronto Area’s low-income participants. The Ontario government offers funding to parents of children with disabilities through its Special Services at Home and Assistance for Children with Severe Disabilities programs. Tim Horton Children’s Foundation operates residential and day camps in Canada. The Toronto Star Fresh Air Fund helps send children to a variety of residential and day camps across Ontario. AMICI Camping Charity offers subsidies for children attending various camps under the Ontario Camping Association umbrella. Reach For The Rainbow offers support to children and young adults with physical and developmental disabilities to attend integrated residential and day camp programs. A range of other non-profit organizations such as the Canadian Diabetes Association, the Easter Seal Society, the Ontario March of Dimes and the YMCA provide financial help to families or camps. Religious organizations such as the Salvation Army offers support for low-income families to send their kids to camp. The City of Toronto waives fees for its day camps and other recreation programs for families in need. Kids in Camp helps pay for children to attend accredited camps of the Ontario Camps Association. Footer: Give your kids a Summer Camp experience this year. Find top camp for kids and teens atwww.ourkids.net/camp.